Page Speed Matters! Fast and optimized pages lead to higher customer engagement, retention, and sale conversions. Even incredibly patient people can't stand waiting in lines – whether that's at the bank, airport, or pizzeria. Built with advanced web-technologies, Arastta offers blazing fast page loading and navigation. With Arastta, you don't have to worry that your customers will wait for a page to load as we've designed it to deliver smooth and seamless shopping to every customer. While building Arastta, we didn't just fork OpenCart but also optimized its SQL queries by adding the missing indexes to database tables. We understand how crucial is quering database for an online store as that is the place where data is being stored. Another method to dramatically increase the page speed is the caching technology. With OpenCart, you were condemned to use the file system as cache storage. Backed by modern technologies, within Arastta, we've implemented the most popular 5 caching storages; Apc, Memcached, Redis, Wincache and XCache. Page cache stores all of a web page so that it doesn't have to be pulled from the database for a specific period. By not needing to connect to the database, your online store can respond much more quickly to your customers. Without the page cache, home page of Arastta loads in about 300 ms. Page cache, loads it in about 50 ms. That makes Arastta rocket-fast. You can read each of our blog posts to learn more about features of Arastta. Also you can see our features page. If you would like to learn how Arastta project is founded, how it's governed etc you can see About pages. And of course to see Arastta in action, you can download it or check our demo. 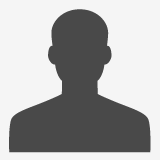 Reply Cancel · Luis Mendez Alejo likes this comment.